London is known for its popular brunches. Honestly, I’d never heard of the brunch world before I moved to London, but now I’m obsessed. It’s gotten to the point where people back at home think I’m eating out all the time. I thought I’d make a list of great brunch places I’ve been to that I love, since so many people seem to be asking me all the time! One of my favourite places in London, Urban Pantry is a local favourite. It’s the one place me and my friend frequent all the time. Located right off Chiswick High Road, the small café gives off a friendly and happy vibe to everyone who comes in. They tend to change up their menu every few weeks except for keeping the classics, and the prices of the dishes are quite affordable. Part of the Daisy Green Collection, Timmy Green’s amazing decor and delicious food will lure you back there. 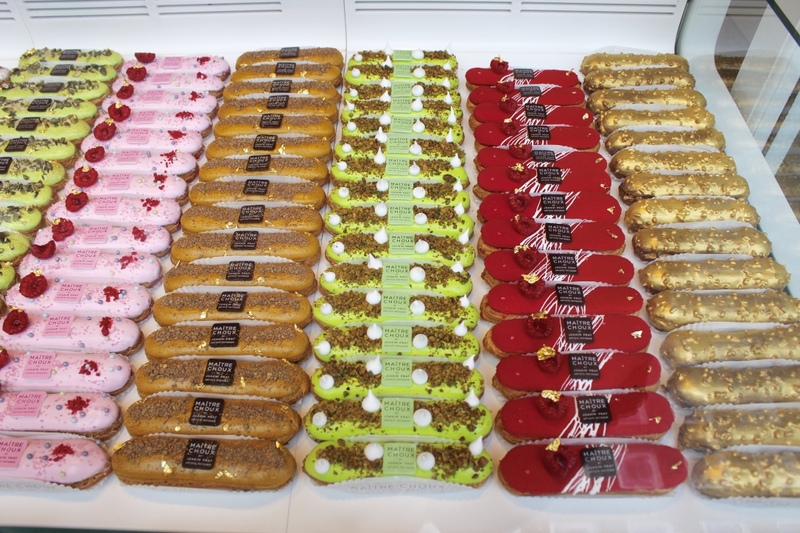 Their signature dishes include the Banana Bread sandwich and the Coconut Bread French Toast. Somehow I always end up regretting having them because then I’m craving for something savoury, but oh well. 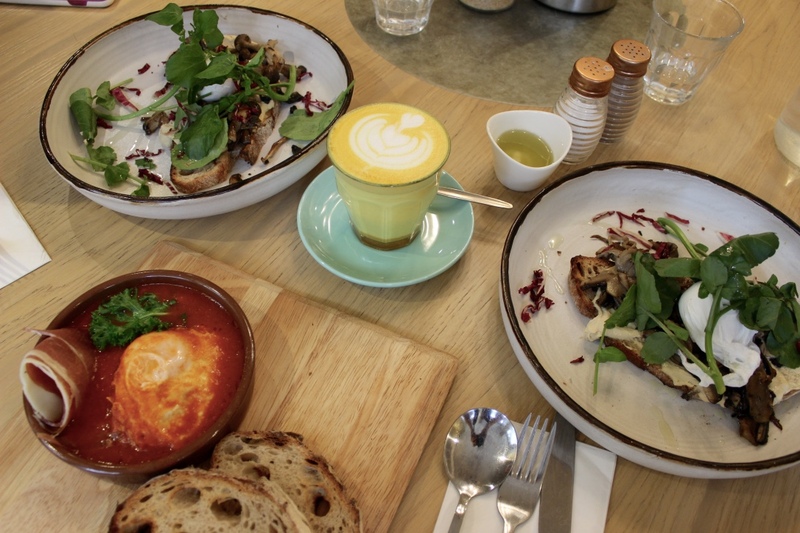 A new local coffee shop in South Kensington, Brown & Rosie is an Aussie café serving delicious coffees and fresh food. With Parisian bistro style chairs which spill out onto the courtyard, it’s a great place to come out and enjoy some good food and sunshine. For an Australian style brunch, Granger & Co. is perfect for brunch with friends or date night. 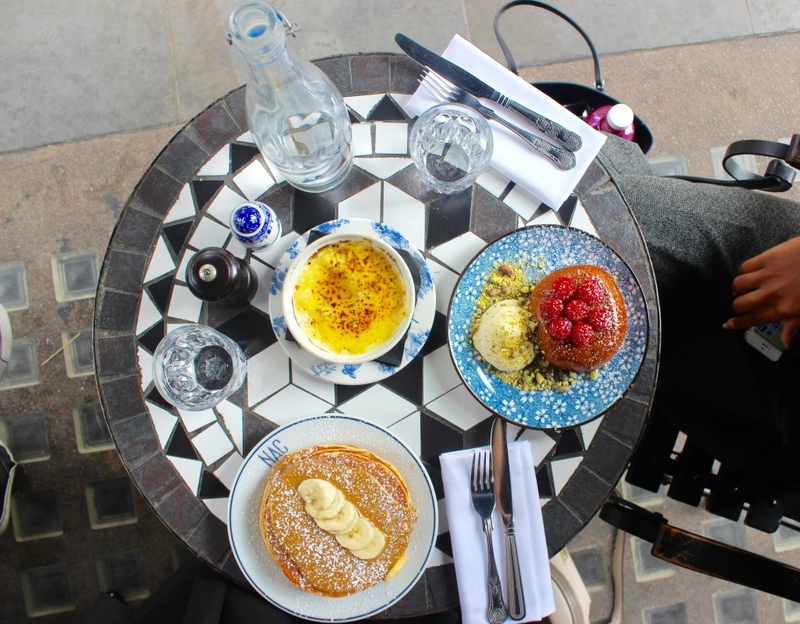 You must try their ricotta pancakes with caramelised banana and maple syrup. The lovely service and food will make you want to come back again. Okay this one’s not really West London, more central, but still I wanted to add it to my list. I always saw so many people go here so me and my friend headed out to NAC to try their menu out. Their dulce de leche pancakes were as good as the pictures made it out to be (even though I couldn’t finish half of it) and their truffle mac and cheese, I kid you not, was to die for. If you ever go to NAC, you must try their truffle mac and cheese. A building that looks like a pharmacy? Check. Vegan food? Check. 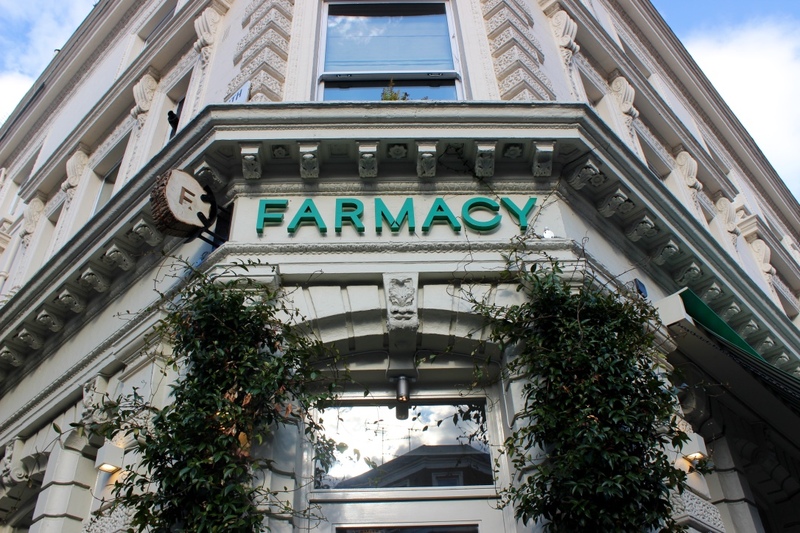 Farmacy is an up and coming brunch place where most of us go to after work drinks or brunch with our friends. The interior deco screams luxury but the food isn’t expensive at all for London. They have some interesting things on the menu, like their Farmaceutical syringe shots and Earth Bowls, all completely vegan. You won’t be missing meat or dairy at all. 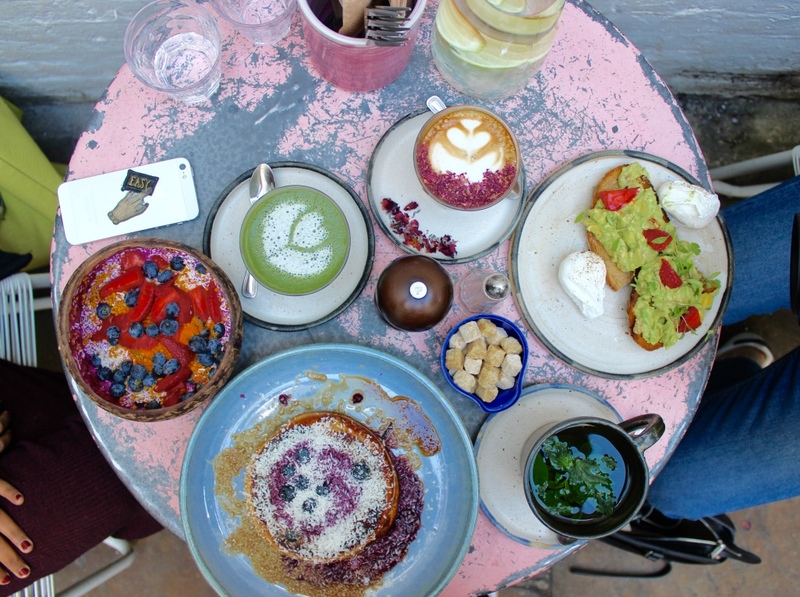 Another Aussie café, Farm girl is a stylish café where you’ll see every blogger posting on Instagram. Their pug latte and buckwheat pancakes are incredibly popular. The best time to go would be on weekdays as they tend to have long queue’s on the weekend. Most of these are in West London, because that’s where I brunch most of the time. I definitely need to try some places in East London. Do you have any recommendations?